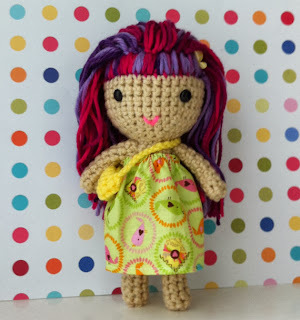 I'm so Excited to have Sweetdolls on my Holiday Gift Guide, I have been a huge fan of her Etsy Shop for a long time now and when I found out that I would be Featuring her lovely creations in the gift guide I was overjoyed! "Welcome to my etsy shop! Here at sweet dolls you can expect to find quality, one of a kind handmade dolls , accessories , softies and original hand painted art. Everything is created by me,with love in a smoke free environment." I have previously reviewed Sweetdolls you can find my full review HERE, This time I was sent a beautiful doll which included such darling clothes and even a cute little purse! My daughter received a Mermaid last time and still is in love with it so as soon as she saw this lovely little doll she instantly was attached and introduced her to her mermaid friend and that was that they became the 3 musketeers! Look how Cute!!! This Doll is Handmade with Love and Just overloaded with Cuteness! and do you see that adorable Hello Kitty Outfit with matching purse that came with her!! 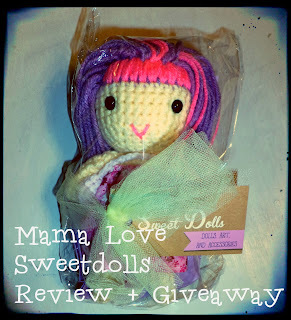 Let's Talk about Hair, Sweetdolls, dolls have hair that I envy! 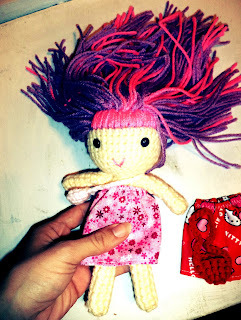 It is thick and durable, our other doll's hair still looks beautiful and we have had her over a year now! Just look how Cute these are! 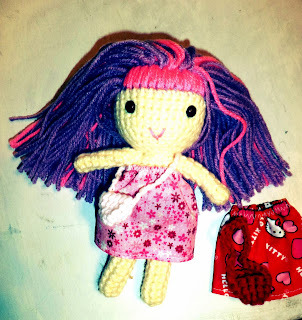 Overall I LOVE Sweet Dolls!!! Her Creations are so whimsical and just full of that handmade magic! 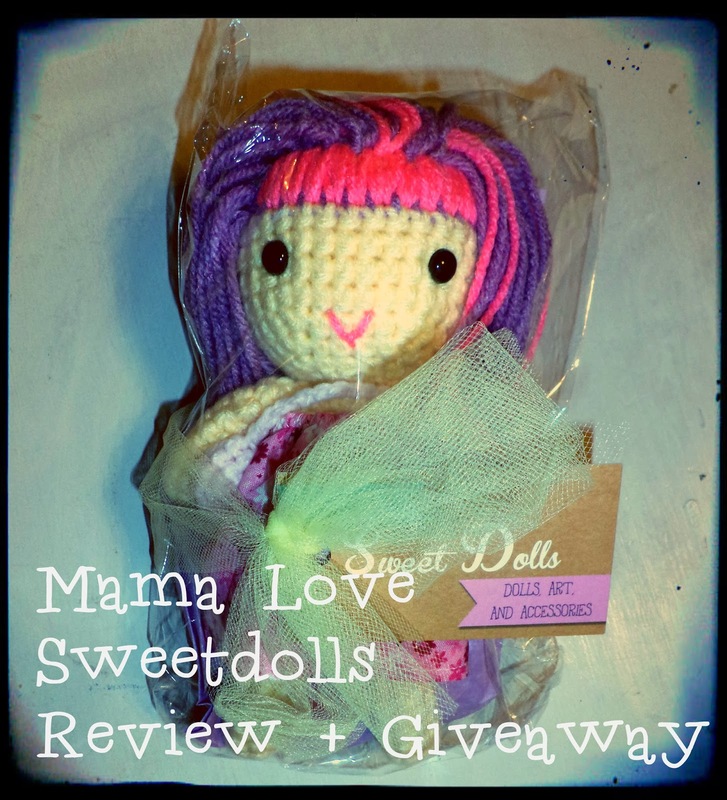 And if you are looking for an adorable and unique gift for this upcoming holiday season then SWEET DOLLS is your place to go, and remember Sweet Dolls makes custom dolls, how cute would it be to have a doll made to look like your daughter, niece, or whoever and surprise them with it wrapped up under the tree! Sweet Dolls has very kindly offered you readers a chance to win your very own custom made Mermaid, you can find the listing HERE! the layla doll is cute...but i really am diggin that doll in the store's picture front with the cute anime face. I like the Sweet handmade doll with medium brown hair! 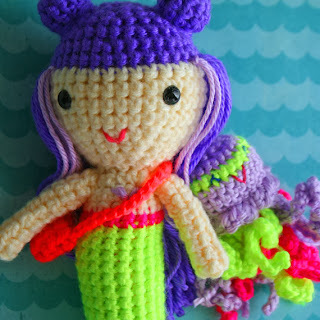 Love the design your own mermaid - too cute! !